Here at AutoNetTV, we have national viewers, like your neighbors in LAKE FOREST, who write to us with questions or feedback. One common question we're asked is: "What is a differential and what does it do?" You may have been told by your West Coast Rovers service advisor that your differential needs serviced, or it's seen it as an option up on the service menu. Differential service at West Coast Rovers covers a lot of things, so let's first talk about what a differential does. As you drive through a turn, your outside wheels and inside wheels turn at different speeds. Kind of like the cars going around a race track - the ones driving in the outside lanes have a greater distance to travel than the cars in the inside lanes. The differential is what allows the outside and inside drive wheels to rotate at slightly different speeds so that the tires don't hop or skip while taking corners, or lose traction in dirt or snow on LAKE FOREST area roads. Differentials have gears in them that transfer the power from the drive train to your wheels - which is why they're often referred to as gear boxes. The gears need to be very strong to do this work, and they need to be properly protected so that they'll last. All vehicles in LAKE FOREST have some form of differential. If you have a front-wheel drive car, your differential is sometimes called a transaxle and is located in the front. If you have rear-wheel drive, the differential is in the back of the car. LAKE FOREST auto owners with a four-wheel drive vehicle have a differential in the front and the back - and in the middle as well. The center differential adjusts for differences in speed between the front and rear wheels. Differential fluid lubricates and cools the gears. Over time, the fluid can get dirty from bits of the gears grinding off. The additives that keep the fluid clean and protect the differential break down over time. So your vehicle manufacturer has scheduled intervals for you to have your differential fluid changed. 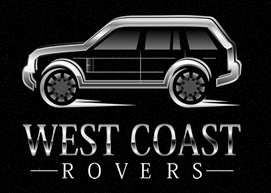 Talk to your friendly and knowledgeable West Coast Rovers service advisor if you are not sure about your recommended schedule.